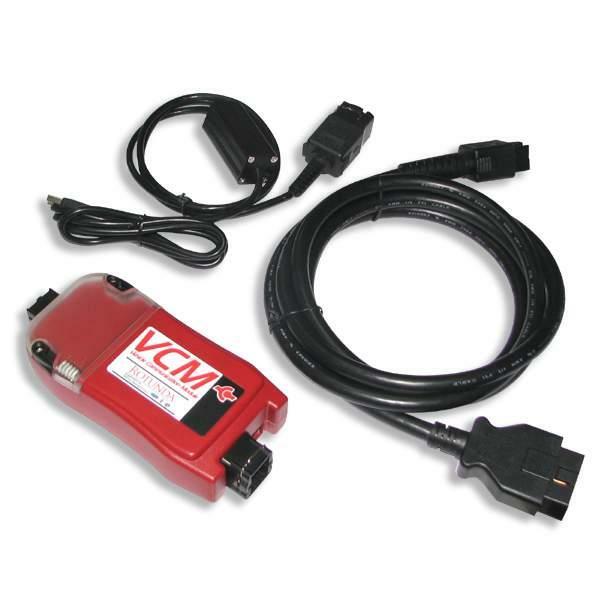 The VCM device contains five LED status indicators to provide the user with a visual mode of internal VCM, vehicle, and host device (e.g. NGS Classic’s T-Handle, PC, Pocket PC/PDS, and Laptop/IDS) operation. Diagnostic coverage includes most 1996 ~ 2008 MY (produced 1995 ? 2007) Ford, Lincoln/Mercury & Mazda vehicles. VCM Vehicle Communication Module . This device provides all link based functionality including: Data logger, Self test, Service Functions, Module Configuration and Programming, etc. VMM Vehicle Measurement Module ? This device provides the following functionality: Oscilloscope, Digital Multi-Meter, Ignition System Test, Fuel System Test, and SGM.